The author is a noted media academic and columnist, and former Dean of Symbiosis and Amity Universities. Trinamool government in West Bengal also hailed the court's order as a vindication of its stand. The BJP has projected the Supreme Court order directing Kolkata Police Commissioner Rajeev Kumar to make himself available before the CBI as a blow to the Mamata Banerjee-led government in West Bengal and a moral victory for the investigating agency. The court, however, also said that no coercive steps should be taken against Kumar and noted that the questioning should be done at a neutral place (which is being finalized as Shillong now). However, the Trinamool government in West Bengal also hailed the court's order as a vindication of its stand. 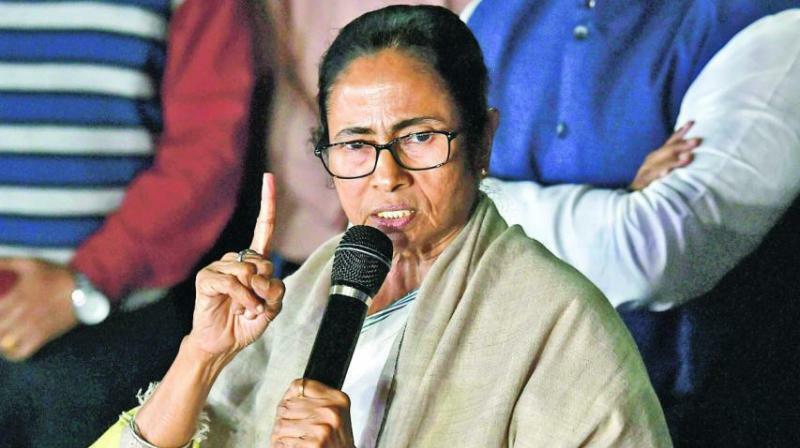 Mamata said that they had never said they won’t cooperate with the CBI, but her opposition was to the manner in which CBI swooped down on senior IPS officer Kumar’s residence. She said that the court ordering that no coercive action can be taken against Kumar was a vindication of her stance. But it goes without mention too that the Kolkata Police Commissioner reports to the Bengal state government, being in WB Cadre; WB CM had restrained CBI from unilateral action in the state without keeping WB government and state police informed as per CBI Act; and there was no explicit Supreme Court order to arrest Rajeev Kumar and there was no FIR as well against him. These arguments well placed before the Supreme Court led to the directives by the apex court. That the CBI has not investigated thoroughly two among the prime accused in Sarada ponzi scam case, as per CBI’s own investigations earlier, Mukul Roy of TMC and Himanta Biswasarma of Congress. Both are now with the BJP. Himanta was not named in the chargesheet but his home and office raided and he was named by the founder of Sarada chit fund. Mukul was interrogated many times, home raided, named by his driver and others arrested in the case like TMC MP and media baron Kunal Ghosh. The current case comes up for further hearing in the Supreme Court on February 20 and the story is far from being over. There could be more arrests in the ponzi scams, and there could be more political leaders involved too. Beyond legalities, politics is also about optics. Mamata has seized the opportunity and has turned this into a David versus Goliath fight, coming to the streets, asserting her federal rights as Chief Minister with power of state police, and attempting to turn it into Modi versus opposition governed states impasse. And to a good extent she has succeeded. So, we have the entire opposition standing with her through tweets and inside the parliament (both houses being adjourned due to this). Apart from the opposition parties supporting her, including Congress and BSP, except for an explicit support from the CPM, even neutral BJD of Navin Patnaik and BJP ally Shiv Sena have expressed their dismay at the harsh CBI action in Kolkata of gheraoing Kolkata CP's house, not taking the state government into confidence, and creating "war-like situation on the streets of Kolkata" as a spokesman of an opposition party noted. Optically, Mamata on the streets a la her struggling days against the Left Front government in WB in the past, is a strong political imagery. It becomes a strong image for the anti-Modi political spectrum. However, whether it is good enough to propel her to the leadership of anti-Modi politics of India is yet to be seen. But coming soon after her mega rally of all opposition parties against the Centre in Kolkata recently, this episode has further enhanced perceived bias of the CBI (named as a caged parrot even by an SC judge), emboldened the allegation of Modi government being rabidly antagonistic towards non-BJP state governments, and has further positioned Mamata as the strongest voice against Modi with just ten weeks remaining for the next general elections. Congress President Rahul Gandhi on his own is still unable to bring the entire opposition on one table under his leadership, and has been snubbed in UP by the regional parties there. DMK chief Stalin and RJD leader Tejasvi Yadav apart, no other regional party leader has come out in the open on Gandhi as the face of the opposition. The entire opposition, except for Akhilesh Yadav of the SP, is wary of Mayawati, the BSP supremo, for her inaccessibility, past association with BJP and sharing of power in UP, and the fact that her leadership of the opposition camp may deprive other parties from their current Dalit support in various states. Mayawati as the main anti-Modi face will prompt a large number of Dalit electorate from various states move towards her from BJP and more so from other opposition parties. That is a long term loss. So, Mamata is a by default possible choice. Her influence is limited to Bengal and some pockets in Northeast, and hence, does not very much conflict with votebanks of any opposition party as such beyond this limited geography. In any case, she expects to be the third largest party in the next Lok Sabha, much in tune with the current Lok Sabha, and hence, as in Karnataka, Rahul Gandhi may spring a surprise by lending support to the leader of the third party, TMC, to form government should Modi and NDA fail to do so. She is making her road to power stronger now. Issue is of a consensus leader of the opposition ahead of the election, which looks bleak as of now. But, through the developments of the last one month, from Brigade rally of January 19 to CBI impasse now, Mamata has surely soared up her chances. And, Modi has contributed to her scores that much and a shot up in the semblance of unity within the opposition camp.